Easily glossed over as mere baubles, beads are actually repositories of vast amounts of information. They can tell us a lot about the people who made, traded, and used them, as well as when, how, and from what they were made. Each bead, old or new, has a story to tell. 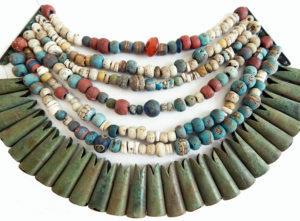 Those willing to invest their time in gaining the required skills and knowledge can pry the desired information from each bead they encounter, whether from an archaeological or ethnographic context, or a thrift-shop purchase. 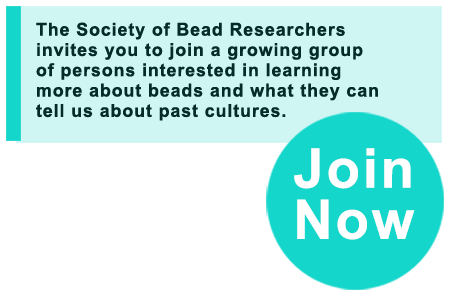 If you share this desire to learn about beads and the items made from them, we urge you to join the Society of Bead Researchers and begin your journey into the fascinating world of bead research. Beads have been with us since our ancestors lived in caves. Just about every culture on earth has made use of them for various purposes, but mostly as adornment. When properly studied, much information can be gleaned from them. 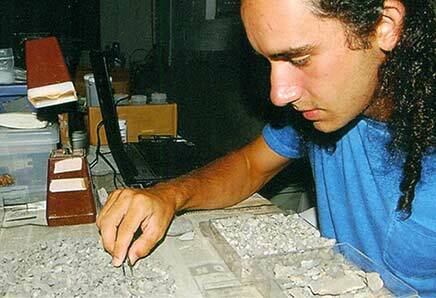 Here a researcher sorts shell beadmaking debris from a pre-Columbian site in the Bahamas in order to learn how the beads were made (see Volume 22, 2010). 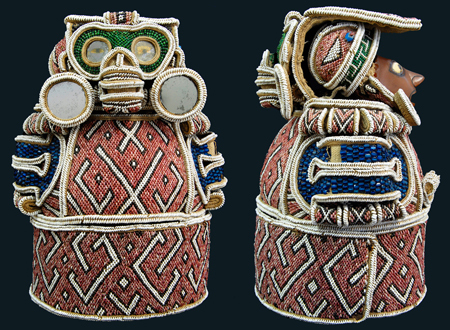 When Christopher Columbus arrived in the Caribbean in 1492, he gave the local inhabitants glass beads and other trifles “which gave them great pleasure.” These beads and those that followed were incorporated into various objects by the inhabitants, such as the 16th-century Taíno belt with attached cemí figure shown here (see Volume 30, 2018). 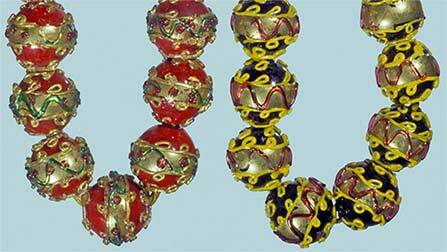 Much has been gleaned from the archaeological record regarding trade beads and the bead trade in Scandinavia during the late Iron Age and the early Viking Age (ca. A.D. 800-1000) since Johan Callmer published his dissertation on the subject in 1977. To learn what’s new, see Volume 29, 2017). Venice and Bohemia are generally considered to be the principal bead manufacturers of Europe. 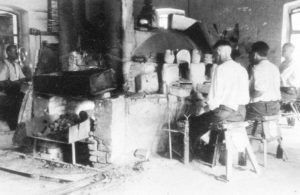 Yet the Fichtelgebirge region of Bavaria in southeastern Germany produced large quantities of glass beads and buttons for the world market beginning in the 15th century, if not even earlier, and continued to do so well into the 20th century. Many of the beads have mistakenly been identified as “Dutch” (see Volume 28, 2016). 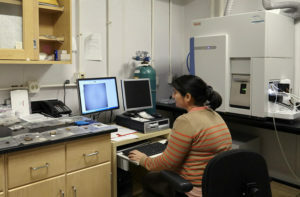 Every year more and more researchers are turning to archaeometric analysis to learn more about the chemical composition of their beads since in many cases this can help to date and/or source the specimens. There are a number of techniques that can used for this purpose. To learn which is best suited for your needs, see Volume 26, 2014 (photo: Michelle Kuo; courtesy of The Field Museum, Chicago). Ancient beadmakers created some amazing adornments such as the beautiful “dragonfly-eye beads” which were so highly regarded during the Warring States period (475-221 B.C.) in ancient China (see Volume 25, 2013). The Bohemians in what is now the Czech Republic created a major beadmaking industry that was second only to that of the Venetians during the 19th and 20th centuries. 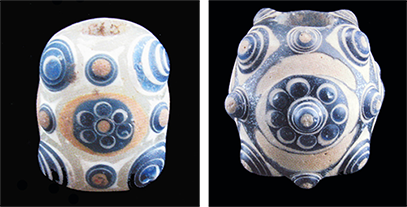 They created glass and ceramic beads in a myriad of forms (see Volume 23, 2011). 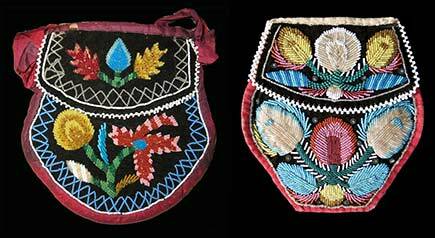 Made in the billions, seed beads were fashioned into a wide variety of handsomely beaded items such as the souvenir items that have been the mainstay of the beadwork prepared by the Haudenosaunee or Iroquois of northeastern North America (see Volume 15, 2003). 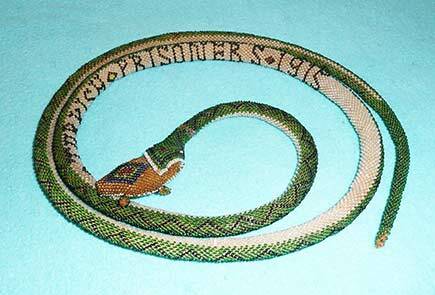 During WWI, Turkish POWs created beaded snakes and lizards from seed beads to sell to their captors to earn money for cigarettes and other items. Some of the snakes are over six feet long (see Volume 19, 2007). BEADS vol. 30, the issue for 2018, is out and available. Included in this special issue are articles on Taíno beadwork of the early colonial-era Caribbean, pipeclay, Florida cut-crystal, and frit-core beads, glass beads from Iron-Age and early modern Taiwan, an unusual man-in-the-moon bead, stone beads in Oman during the 3rd to 2nd Millenia BCE, and Meroitic beads excavated along the Nile. To see abstracts of the articles and order a copy, click HERE. The Researching the World's Beads Annotated Bibliography has been updated (1 Dec. 2018). There are many additions to all the sections so check it out. All the files are searchable.